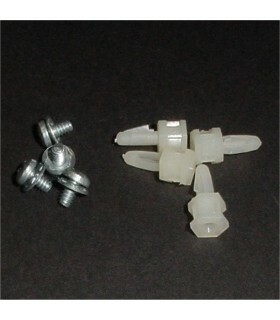 Repair Part Kits There are 6 products. 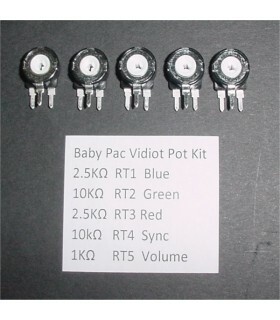 Baby Pac Vidiot board 5 piece potentiometer kit. Includes pots for volume, R/G/B & Sync. 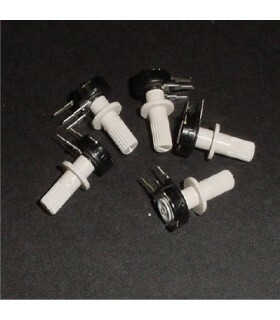 Knobs can be adjusted with a straight slot pot tool. Bally -35 MPU repair kit Includes all parts that typically need replacing on acid damaged boards. 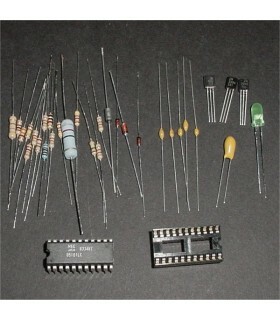 This kit includes a new 5101 ram and socket. Also includes items C1, C2, C3, C5, C13, C80, CR5, CR7, CR8, CR44, R1, R2, R3, R11, R12, R16, R17, R24, R28, R29, R107, R112, R134, R140, Q1, Q2, Q5 & VR1. Sanyo 20EZ pot kit. 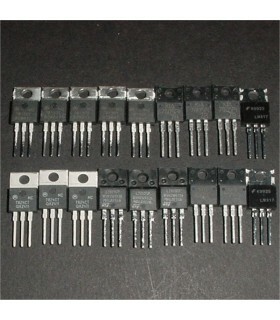 Includes the 5 pots located on remote pcb. PCB not included, shown as reference only. 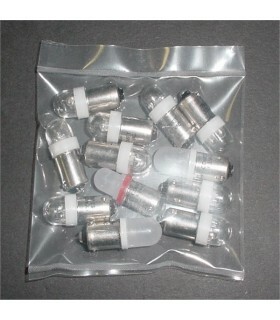 *Note kit includes 220k ohm instead of 200k ohm. These have been tested and found to be a suitable replacment.